UPDATE: When are you entitled to free universal healthcare CMU? 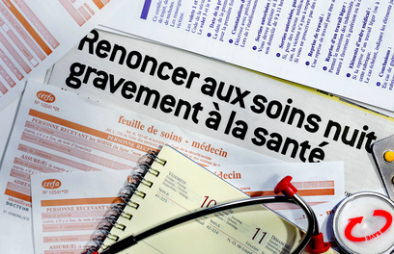 FrenchEntrée > Living in France > Healthcare in France > UPDATE: When are you entitled to free universal healthcare CMU? Numerous phone calls and emails confirm that many of you are not aware that, if granted, you may have to pay for basic CMU Couverture Maladie Universelle. The rules are clearly stated on the application form S3710c which you have to complete when you make application for basic CMU at your CPAM Caisse Primaire d’Assurance Maladie. *or if you have the right to complementary CMU or to State aid to help buy top up insurance l’Aide pour une Complémentaire Santé (ACS). and 9534 euros, effective from 1/10/2013 till 30/9/2014 is a total allowance for your fiscal household and is automatically updated annually once a year. 1.If you have to pay for basic CMU, you must be up to date with your 3 monthly URSSAF payments in order to continue to receive basic CMU health reimbursements. 2.Basic CMU is reviewed annually by your CPAM. 3.If, as a result of your application, your CPAM offer you basic CMU, then you are obliged to accept it.